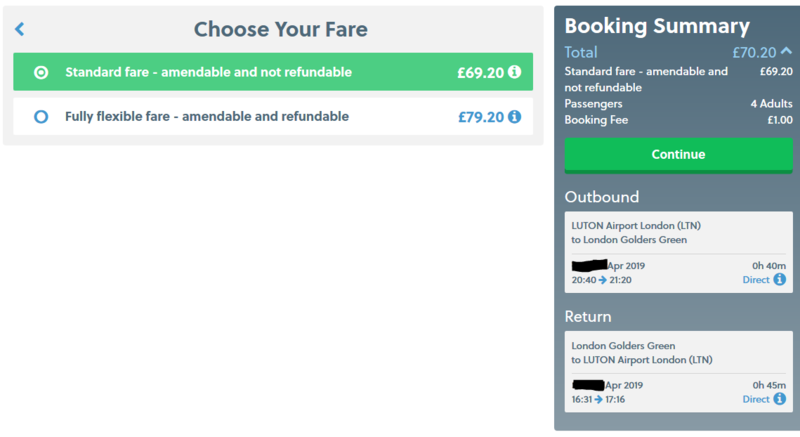 Are Luton Airport to London National Express transfer hours fixed according to my reservation? Next week we'll arrive in Luton by plane and need to get to London (somewhere in Brent). We'd like to take the bus (since it is the cheapest as far as I can tell) from Luton to London (either Golders Green station or Finchley Road & Frognal) in order to get to our accommodation. The problem is that when I try to make the reservation, there are concrete departure times noted in the summary. Will we be able to board a later bus if the landing in Luton is delayed? Will we be able to board an earlier bus (for the return trip) if we feel traffic is going to be a problem? If the answer is no, then I saw that one can purchase tickets on the spot in the airport. Will they be more expensive? Where can I purchase them "on the spot" for the return trip, the driver, ticket machines in Golders Green/Finchley Road station)? Later edit: Forgot to ask about Green Line, their tickets seem a bit more expensive, but do not have set departure times. What is inconvenient here is that the only timetable I found was a hot mess. Is there a Green Line bus every 30 minutes? They have no obligation to take you on a later bus, but I have seen sympathetic drivers allow people to do it in the past. I very much doubt you would be able to get an earlier one. Don’t worry, if your plane arrives early or late, you may use the same ticket at no extra cost to travel on the next available bus, up to 60 minutes either side of your booked time. Please note we cannot always guarantee there will be spare seats, especially at busy times since passengers travelling on their booked service have their seats reserved and will be boarded first. 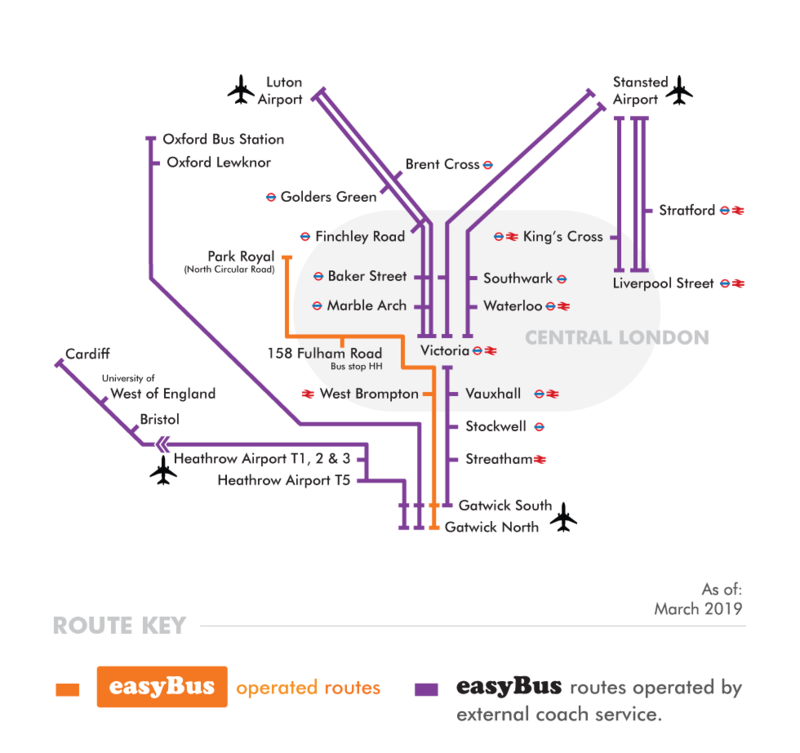 Second, observe their route map -- most of their London routes are not operated by themselves but "by external coach service", in this case, National Express. Not the answer you're looking for? Browse other questions tagged airport-transfer or ask your own question. What are the hours for the airside Newark Liberty airport shuttle between Terminals A and C? From London to Luton Airport by National Express - how long does it take? Going from Luton airport to central London? What hours are taxis available at Yangon Airport? Are National Express buses to Luton airport frequently delayed on Saturday afternoons?